Promoting your brand or any of your products requires some levels of relationship with your targeted consumers and like I always say, social media can be a blessing to you and at thesame a big curse or limitation in this regard depending on which side you intend to stay. How do I mean? In as much as social media platform has numerous opportunities particularly at the present age and time where virtually all business activities and engagements have their major connectivity to online, then there is no gainsaying that there would not be downside to it. I am of the school of thought that whatever has advantages might possibly has its own disadvantage, although these advantages may likely outweigh the disadvantages. In this present time, hardly will a bussiness survive if it doesn’t have a strong online presence such as active website, periodic blog posts; daily twitter hastag trends; facebook commercials and even customised social networking site for staff/workers in the organisation. A typical example of this is, Yammer Network. It is a social networking site tailored strictly for a selected group of people within same organisation seeking common goals. What yammer does is, it facilitates working scheme/modus operandi via the use of chat tools to communicate, for timely content sharing as well as document sharing among the team using it. Earth Hour Global has used this platform since the beginning of its campaign in 2007, specifically to drive its campaign for environmental sustainability across the world and tremendous results and achievements has been recorded. Furthermore, the truth in this is, Information and Communication Technology (ICT) which is the mother of social media has become the major catalyst for socio-economic development and also to expedite the progress in the bussiness world globally. As we can see, that hardly will you find a sector that does not need ICT to run and operate within or outside its organisation. Most organisations have as a matter of necessity introduced ICT department. This department controls the activities such as social media; communication network within and outside that organisation as well as its online presence. In other words, to achieve speedy results in any of your pursuits, bussiness, or organisational goals you must be opened to learn new things in ICT and adapt these changes. Few weeks back, I was discussing with a start-up, who was actually trying to form a bussiness alliance with me and he said ‘I do not like online bussiness and I don’t have plans to own a website yet’ and when I asked him why, he said, ‘I don’t want internet scammers to hack into it and dupe me’ then I asked if he had facebook, twitter or Linkedin, his respond was not affirmative. Right there, I lost interest in his proposal. We need to know some naked truths about how bussiness activities and transactions are being done in the present age. Having a strong online presence does not only boost your credibility, it enhances the chances of gaining speedy bussiness prospects. Now have you ever wondered yourself, why those online scammers and internet fraudsters get easier and quicker patronage? It is because they have been able to carve niche for themselves by creating brands that are too good to be true via social media. And before you know it, thousands of people begin to cause traffic on their websites. This is one disadvantage out of few downsides of ICT. Creating and building a credible brand for yourself on social media could be all you need to hit your goldmine in that bussiness of yours. However, this may require consistency, hardwork, tenacity and determination on your part. Like they say, good thing don’t come easy. Knowing what you intend to do, how to do it, who are your target and what impact do you want to make in the long run would help guide your decisions in either choosing social media or seek other alternatives to promote your brand. For you to be able to carve a niche for yourself or brand on social media and make a difference, here are some outlined steps you can follow, using my personal experiences as a typical lessons. If you choose your passion as your work then you are never going to work for the rest of your life. The reason is, you will get the job done effortlessly. So what area do you think your passion lies? Ask yourself: Do I need a brand to work with? What are my targets? Reason for these questions is larger population of young persons nowadays do not know where their passions lie. All they want to do, is just sit around and watch You tube, facebooking and tweeting for the fun of it, visit Badoo and other dating sites. There is nothing wrong when you do these things in your leisure hours. However, when you get too much involved in irrelevants on social media network, you tend to misplace your priorities. My experience has made me realised this, I used to be one popular facebook addict, I remember I would post stuffs about what I ate and other irrelevant daily activities and even made awkard comments about other posts. However, my passion for developmental works and service changed everything suddenly, when I realised how important social media is to what I do. As a social activist, I realised that I could use social media platform to drive social changes. From then on, I began to use facebook for positive engagements. Consequently, I moved from being a facebooker to be one of the most sought after blogger in the development sector in Abuja and Nigeria. Choosing an area of interest for your bussiness or brand is the best way to carve a niche for yourself via social media. Understand your interests in what you do will not only ignite your passion for it, it will equally drive you to succeed in it. And do not forget that, while choosing your area of interest, do not put money first, putting money first would truncate your vision for the brand. Your area of interest could be online retailing, online music bussiness or even dejaying amongst others. Speaking of putting money first, Jumia, a popular online retailing brand in Nigeria, has been around for sometimes now and based on information gathered, profits were not rolling in at the inception of brand, however remained tenacious, today it has become a globally recognised online retailer brand. One common characteristic of social entrepreneurs is solution providing. In case you don’t know, carving a niche for your brand on social media automatically makes you a social entrepreneur. These are those who choose to identify a need and strive to meet such need; providing solution to a problem. When I launched my blog site ‘Dotun Roy’s Blog’ I didn’t set out to create a blog because every other person were doing it or for me to gain cheap popularity, No. I launched my blog site to fill the gap that I have identified in the development sector in Nigeria, particularly in Abuja. I realised most Non-Government Organisations were working but the works, activities such as community building, capacity building, donations and workshops that they devote their time for were not being heard about. All we heard and seen everyday, most especially in our traditional media such as newspapers are what governments are doing. Therefore I took it upon myself to launch out a blog site that would help showcase most of the activities and engagements of the NGO’s CBOs and other Civil Society Organisations across the country. Like said I earlier, do not look at quick profit you would make, look beyond now. Think about sustainability of your brand in the next 20 to 30 years or even after you are no more. Do not say, “there won’t be social media then, another medium might come later” No! social media has come to stay, all I know is, it would only be improved upon. Most people have used quick profit method as a yardstick to ruin their brands, and they are no where to be found today. Whatever is worth doing at all is worth doing well. If you are still unsure of your brand’s sustainability then, you need to have a rethink. As a social media strategist, that I am, I have rendered services for free. I decided not to charge these organisations. They would just see the report of their events online and calls begin to come into my phones appreciating my efforts. That is one of the ways to make your brand a sustainable one. Learn to render free services so that when all chips are down, you will have people come to your aid. Making a difference in whatever you set to do is as important as the vision its self. 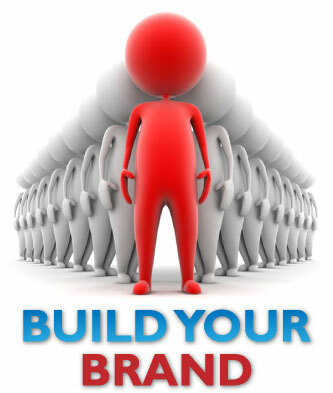 While building your brand learn to raise the bar, through your content sharing. Try and avoid unhealthy competitions with your identified competitors, because there will always be someone who has been in the business before you or someone who sees what you are doing and starts his own. Whichever way, set a standard that will not only set you apart but also impart positively on the general public. Before my blog site was launched I had always thought within myself that I would love to impart my generation positively, but yet to understand the channel through which that my loft vision would become reality. That’s why I would always be gratefull for the introduction of blackberry smartphones. Acquiring blackberry was like a turning point for my vision of making positive impacts around me because I started my blog site ‘Dotun Roy’s Blog’ with my blackberry phone. I remember, I was using my MTN BIS subscription as my Data plan for posting my blogs on twitter and facebook. Believe me, It made a lot of positive impacts on those people who read my postings. Who says you have to wait until you have the most expensive laptop or i Pad 7 before you can build your brand on social media. You can start building that brand right there with your smartphones that you had thought they are only good for pinging, whattaping and twitting. I have realised that most people do not know how to improvise when the required tool seems not to be available. Like the popular saying, necessity is the mother of all inventions. Most inventions that had ever happened, came about as a result of necessity and one identified need or the other. Your sense of creativity is at its best when you improvised to suit your needs. While building and carving a niche for yourself on social media, try as much as possible to be mindful of the sort of content you share and post. Remember you are have a brand to protect. Sharing, retweeting and posting disturbing content may lead to loss of followers or fan base which is what you need to promote your products or whatever you are selling. Stay neutral from any political ideology. Do not mix politics with your online brand lest your fans get wrong signals, particularly in a country where there is political instability. Steer clear of unfounded rumours, shady information and slanders that are going viral. Above all, be a go-getter who is purpose driven, with passion and vision, determination and tenacity to make a difference and create a change through your good works, services and your online brand. Next: REMITA!!! Perfect Solution To All Complex Financial and Bank Transactions! Great – I should definitely pronounce, impressed with your web site. I had no trouble navigating through all the tabs as well as related info ended up being truly easy to do to access. I recently found what I hoped for before you know it in the least. Quite unusual. Is likely to appreciate it for those who add forums or anything, web site theme . a tones way for your client to communicate. Excellent task.